For anyone that has even slightly followed this blog over the past few years, I’m sure you’ve realized by now that I’m a huge fan of any kind of pesto. 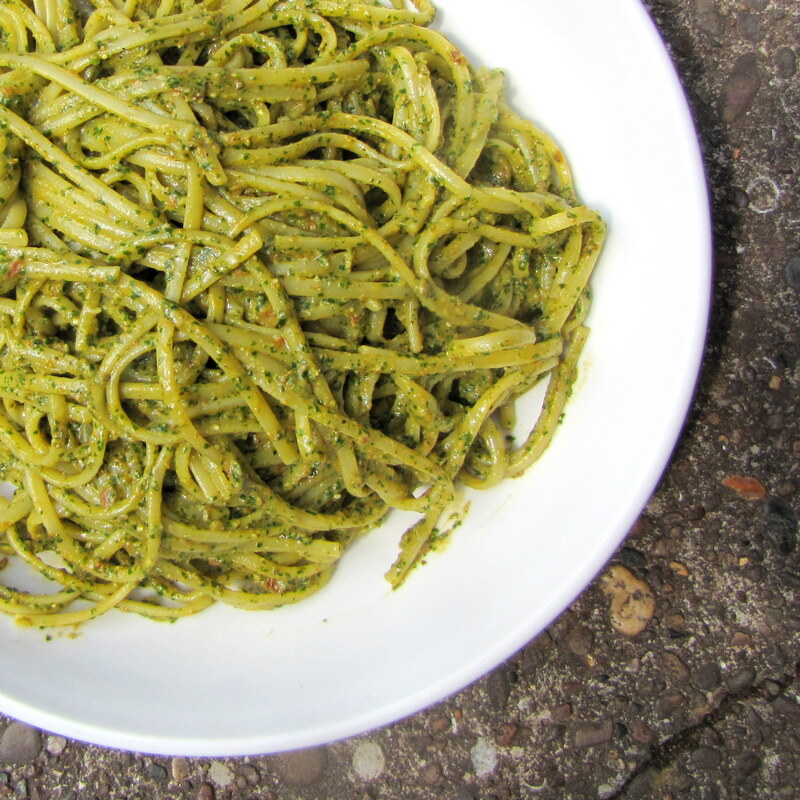 I love to experiment with different ingredients in the blender – and I can’t understand why everyone doesn’t make some kind of pesto at least once a week. It takes about 10 minutes, it’s really healthy, and it always tastes delicious. In the meantime, put the olive oil, cashew nuts, and garlic into a blender and blend until smooth. Add the sundried tomatoes, with the oil from the jar, to the blender and blend until smooth. Add the basil, salt, and pepper and blend again. If you’re having difficulty blending it or it seems a little to thick, add a tiny bit of either water or oat cream. Throw the pasta into the pot once it’s boiling. Stir every 2 minutes, then taste it 1 minute before what it says on the pack – usually it’ll be ready then. Drain the pasta, throw it back in the pot, add the pesto, and eat! Pesto is my go to pasta sauce. I make mine a bit different but your recipe looks great. I will give it a try! I’m half Italian and spent most of my life eating Italian food. I’m glad I found your website and FB page. I’m in my vegetarian-vegan transition. Your recipes look great!